Are you ready to go back to school? September is the perfect time to start focusing on getting prepared for emergencies and worst case scenarios, but most people have trouble staying focused and on track and many aren’t sure where to start. My answer for that: Step-by-Step with The Survival Mom, a preparedness curriculum! In a previous career, well two previous careers actually, I was a classroom teacher and a trainer. I spent a lot of time developing lessons and curriculum. 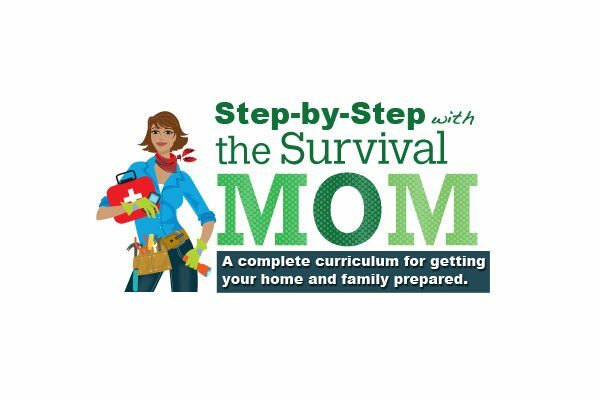 A few weeks ago when I was thinking about how to help Survival Moms really get the job done preparing their homes and families, I decided to develop curriculum based on my book, Survival Mom: How to prepare your family for everyday disasters and worst-case scenarios. The book is available on Amazon, Barnes & Noble online, as well as in many bookstores across the country. I highly recommend owning a hard copy versus the ebook version because the book contains worksheets and many checklists. Ready to get started? Here’s Lesson 1, Take action now! Admittedly, I fall into this category all too often. Is it any wonder, then, that most Americans aren’t even sure whether or not they have a flashlight in the house with charged batteries? A vehicle emergency kit? We live in a safe and secure country, for the most part, and people rest easy in the knowledge that the police, fire department, Red Cross, and FEMA are standing by at the ready. Those well-trained experts are just waiting to gently lift each of our family members into a waiting row boat or helicopter, right? And a hot meal and coffee wait on the other side. I wish this were true, but over and over again, from Hurricane Katrina to Superstorm Sandy to wildfires in California we see that emergency experts are quickly overwhelmed and their priorities probably don’t include your family and home. 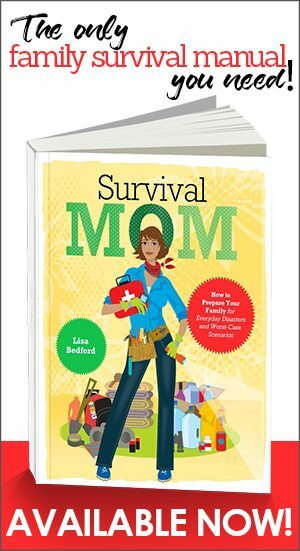 So what’s a Survival Mom to do? Put supplies, equipment and plans in place now and be ready for whatever comes, that’s what! 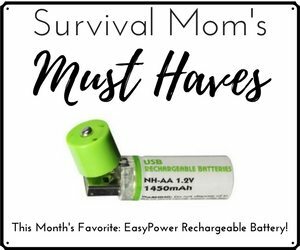 If your desire is to keep your family safe and healthy, you’re a Survival Mom! This first lesson is one of action. There will be plenty of time later for discussions and philosophizing, but for now, let’s get ‘er done by putting together one emergency kit within the next 7 days. If you can pull together additional kits, you get extra credit! The following kits are the most useful and most likely to be used. Select one of them for your first project. Vehicle emergency kit. See pp. 248-252 for complete checklists. A get-home bag if you spend time at work or school. This will be an individual kit but with extra supplies for either a long walk home and personal security items as a priority. You might also want to include detailed maps with multiple marked routes from your place of work/school to home. A Family Evacuation Kit. Details on pp. 256-259. A Power’s Out Emergency Kit. See pp. 149-150. An emergency kit for an individual family member. Details on pp. 253-256. Even though the various lists in my book are extensive, they weren’t specifically designed for you, your family, or your circumstances. Review the lists, as well as any other lists you find online or in other books, and go through each item before buying it. If you don’t know how to use a wire saw, for example, and your hands are arthritic, that won’t be helpful to you at all — unless you happen to have a handsome, muscular guy in tow! The items in your kit will fall into 5 categories: sanitation, survival, sanity, sustenance, and security. If you find that one or more of these categories isn’t well-stocked, then review pages 250-265 for additional suggestions. The “sanity” category is not one to overlook. In a crisis, distractions will be welcome, so be sure to include things like playing cards, a really long book (Tolkien comes to mind! ), coloring books and colored pencils, and the like. Additionally, consider health, emotional, and physical issues of each person you are preparing for. If you have a special needs person in the family, read my suggestions on pp. 264-265. Please don’t spend a fortune! Before buying anything, make sure you don’t already have it shoved in a back cupboard somewhere. Ask friends and relatives if they have any of the items you’re looking for that they don’t want or need. Scour garage and estate sales. Refuse to pay full retail unless that is your only choice! Select one type of kit to prepare. Decide on the type of container that will work best and begin compiling all the supplies. Spread out everything you’ve accumulated and make decisions for how you will actually pack the kit, with heavier items at the bottom. Combine smaller items in Zip-Loc bags or other small containers. Label them to make it even easier to find what you want when the pressure is on. List everything in the kit and print it out. Keep a list in your Grab-and-Go Binder or another safe place and a second copy on top of all the contents in your kit. Finally, on at least one calendar, write this on a date 6 months from now: “Re-pack emergency kits”. That will help make sure that any clothes and shoes included still fit, that food and/or water hasn’t leaked, and that everything you’re depending on in a crisis is still in good condition. Click HERE to download a copy of this lesson and the study sheet. Define your disasters and set priorities. How wonderful!! The best way to prevent panic and fear is to educate and equip ourselves and our children!!! What fun! I can’t wait to get started. Thank you so much for all your hard work. 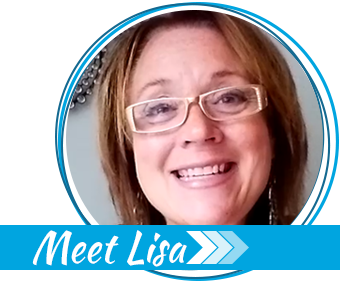 I know it has really helped motivate and empower me to take charge of my family and their well being. You are such an inspiration. Peace. Oh yes! I love having a teacher take me through this! I love your book, and have vehicle emergency kits in all my cars (thanks to you), but sometimes with prepping I just get overwhelmed with what to do next. Thanks for the class. how often are you planning to add a new lesson? is this a weekly thing? There will be a new lesson posted every other Wednesday. You have 2 weeks to complete each one! Why is there two comment boxes? One person wrote, “The best way to prevent panic and fear”? The best laid plans of mice and men, you mean? I’m envious of the ‘Take Action Now’ moms you showcase. I’ve tried to spread your enthusiasm. … I’ve failed in the worst way. According to statistics (lying bast… that they are)) half of us will get dee-vorced. 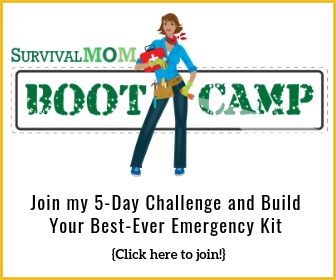 Have you thought about creating a preppers ‘Be Prepared’ for dee-vorce, article? I haven’t read one of those, they might prove useful? I wonder if your Dear Abby advise would be: she gets everything except a couple of hand guns, a long gun and all the clothes that can fit in your B.O.V. and maybe a couple of tools? Prepper dee-vorce, it’s worse than SHTF. Imho. I imagine there’s no way to find someone else who is into prepping and, ‘gets it’. It’s like letting go of a gold ring. One that bites. I wonder if Fall is a high point for break ups? Pardon me for being Debbie Downer, er whatever the male version is. …Just trying to be real in a useful way. And venting. I’m just glad there aren’t chickens involved. Or dogs or kids. Ooo, that’d be messy and ugly maybe? I am just curious as to why you suggest that the heaviest items should be in the bottom of the pack? I agree that this does seem to be the logical way to pack a bag, but I can also see the benefit of putting heavier items on top. My husband is in the USMC and they are advised to put the heavier items in the tops of their packs, because it is easier to bear more weight higher up on your shoulders rather than the lower back. We don’t realize how quickly our BOBs become very heavy, and I think that weight distribution in the bags is definitely important to consider. Hi Krista. In this case I’ve recommended placing heavier items in the bottom of these kits because there will likely be a number of small items that can get lost in the shuffle and, if packing most foods, those foods can get crushed. (I’m thinking freeze-dried and dehydrated foods, in particular.) Also, your husband is packing something that he will be carrying pretty much 100% of the time. In the case of an emergency kit, that is less likely. A lot of people choose to use a 5 gallon bucket as their container, for example, since the bucket itself has so many other uses in an emergency scenario. Obviously, you won’t be packing that on your back! Hope this helps and thanks for the comment. The three lists idea is great. I should set that up on my computer so that it’s easy to see/will quickly remind me, and won’t get lost either. Thanks! In this post you state, “I highly recommend owning a hard copy versus the ebook version because the book contains worksheets and many checklists”. Does this mean the worksheets and checklists are NOT in the ebook? I ask because I was thinking it might be nice to print these out for note taking and checking things off, without too much damage to the book. Thanks for all your info and inspiration! All of the various lists and worksheets are in the book and copies can definitely be made. It’s a personal choice whether to do that or own the hard copy of the book. Did I miss it or were there only a few lessons?? I was really enjoying these!